One of the passions in my life is politics. I have been involved in different political campaigns in various ways. Politics are rife with rumors, this week there have been rumors about Mitt Romney’s finances, Newt Gingrich’s matrimonial arrangement and what Michelle Obama really eats for supper. Rumors are part of our lives, they affect companies, finances, political campaigns and, your career. 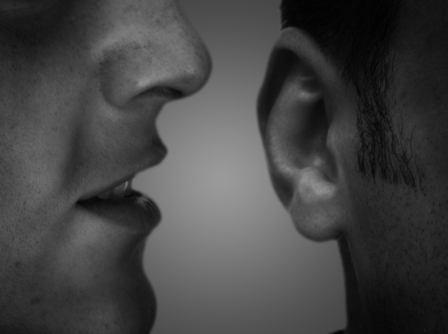 In a recent study by European consultants ISR, 67% of employees hear important information first through a rumor. Companies that were poor in rumor management were less profitable. It’s just good business, to have good rumor literacy. So what is a rumor? Nicholas Defonzo author of The Watercooler Effect explains, “Rumors are simply collective intelligence in the face of uncertainty. Rumors are fundamental phenomenon of social beings. We need them to help each other to understand changes in our world.” The role of Twitter, Facebook and the large amount of sudden change, we need to manage, leverage and protect ourselves from the power of rumours. Listen to my conversation with Nicholas here. Speaking of rumours, it is true, I am in Vancouver speaking Tue, Jan 24 @6PM | 3 Dimensional Networking & Branding with our partner HigherBracket. Click here & join me. Learning how to manage rumors in a workplace is not only an important skill; it reduces stress, increases employee morale and impacts shareholder value. What is the best way to deal with a rumor when you hear about it? 1. Suspend belief – Give the person the benefit of the doubt at the start. This is hard to do as we all have biases. 2. Carefully check – Get the facts and try and get as many alternative views. 3. Come to your own conclusion – It is important to make a decision one way or the other on your own opinion, be aware of the influence of the group. 4. Take time and listen – Refrain from spreading the rumor until you have gone through the first 3 steps. CareerClass | Get the Right Career, Right Now! Invest 1 hour of your time to help identify the right work situation. Join me Thursday, Jan 24, 12-1 P.M. ET. This complimentary 1-hour workshop is based on my book, The Canadian Job Search Kit. Take control of your career, all from the comfort & convenience of your own desk. Limited to 50 participants. Click to register. P.S. We are giving 5 complimentary tickets away to our Vancouver CareerClass Live event, Tues Sept 24 6-8 PM. Like our Facebook page. P.P.S. Are you a Queens grad? Join our exclusive New Year, New Career webinar. Thursday Jan 19 12-1 & 8-9 PM. Let us help you take your career to a new level in 2012. Register here.